Undoubtly Fazıl Say is the greatest composer of Turkish Music. I was so proud to be there in that magical night. When I was a little girl I was reading this book and the main girl from the book was invited to the Fazıl Say’s concert. They were young individuals too but they prefered to go classical music concert for their first date. I imagined to have that kind of boyfriend who loves art and appreciate of its elegance. Lukicly my husband is an art lover as much as possible. When I first saw Fazıl Say’s concert almost 4 months ago he wouldn’t hesitate to buy tickets right away. 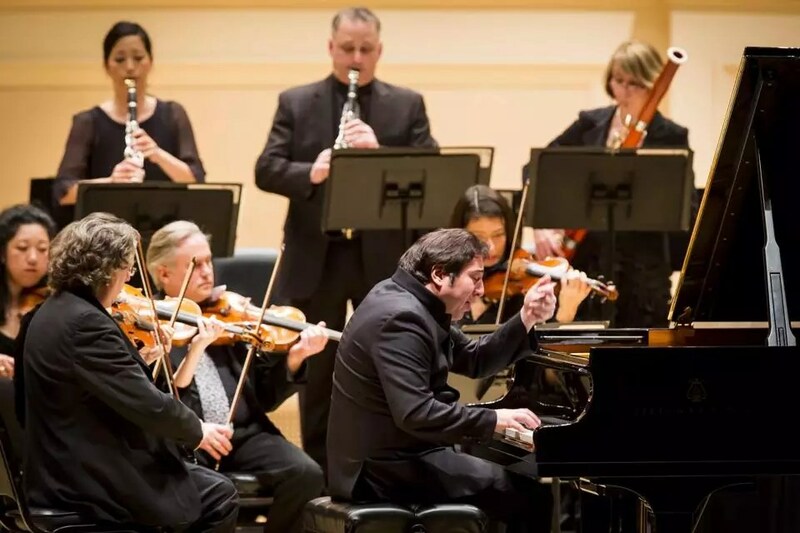 Fazıl Say and Orpheus performed at a sold-out, Carnegie Hall concert April 11th 2015. 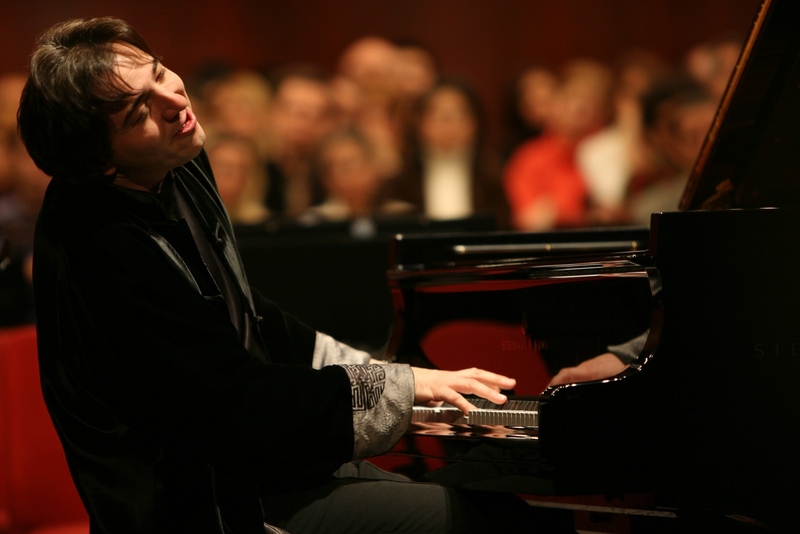 Fazıl Say was guess pianist and the composer of the night. Unfortunately we just listened him for 20 minutes (Even though Orpheus advertises itself as a conductor-less chamber orchestra Say conducted them in a handsome way) but we did enjoyed his 22 minutes Chamber Symphony by Orpheus without him. 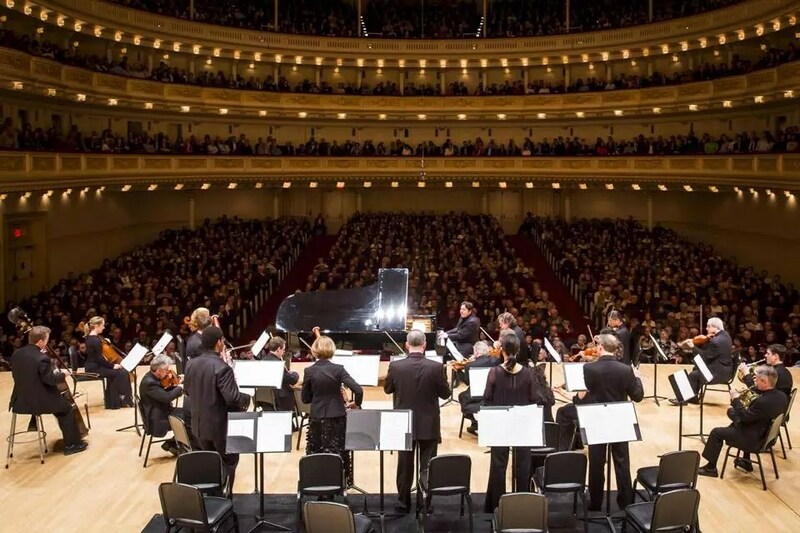 Chamber Symphony started with classical elements and continued with Say’s contemporary style. He blend classical elements with a hint of traditional Balkan and Turkish music. Chamber Symphony has so many contrasts like Say’s own country. I felt notes were sometimes sad sometimes enthusiastic, fast and slow. I almost saw Say’s sadness on it because of what happened to modern Turkey in recent years. Best thing for me was the sound of performers striking their instruments with the wood of their bows and even their hands. It was definitely oxymoron beauty in that magical night. I have so many European followers and readers. I wanted to write about him and his newest piece because of his upcoming Europe Tour with magical Orpheus.